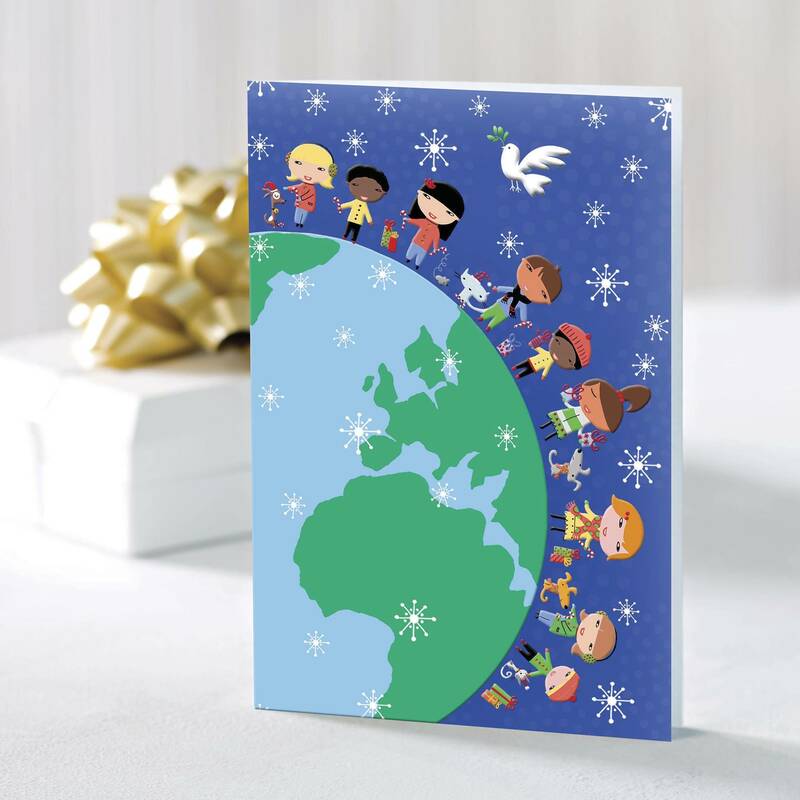 The white dove of peace hovers as children take each other's hands to encircle the globe-gently reminding us that we are all connected to each other. Inside sentiment: "Peace and joy to your little corner of the world." 12 cards, 13 envelopes. Please note: Cards feature embossing and foil accents.